The Chapel of Our Lady of Elverton, Stone-next-Faversham, lies in the middle of a field on the northern side of London Road, opposite Faversham Road. Also known as Stone Chapel, it consists of the visible remains of the only Roman temple (of the fourth century) known to have been incorporated into a later Christian chapel. The small Roman town of Durolevum was probably nearby, with a cemetery at Ospringe. 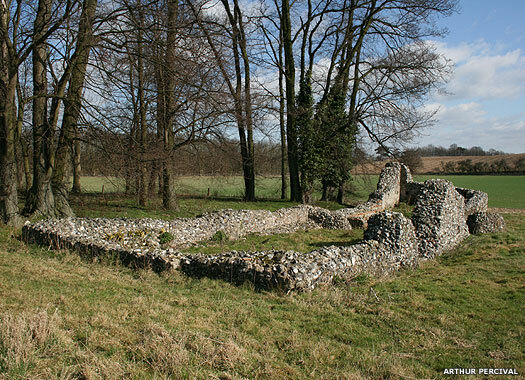 The chapel has been in ruins since the sixteenth century. The Church of St Nicholas, Buckland-by-Faversham, lay at the southern end of the farm buildings on the lane which leads from Lower Road, immediately east of Deerton Street, and north of the railway. The church was early Norman, with a nave and chancel, and west tower and spire. 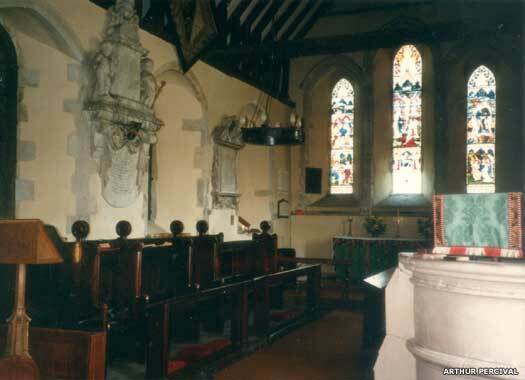 By 1578 the chancel had 'fallen down'. A 1706 storm blew down part of the building and by 1782 the tower had fallen. The photo shows the church around 1900. A rubble wall survives in 2010. 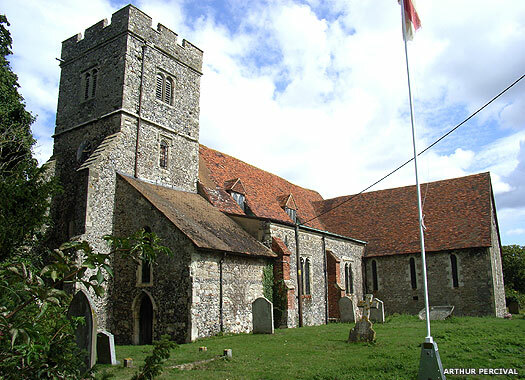 St Mary's Church, Teynham, is at the eastern end of a short lane off Conyer Road, to the north of the railway station and the village itself. 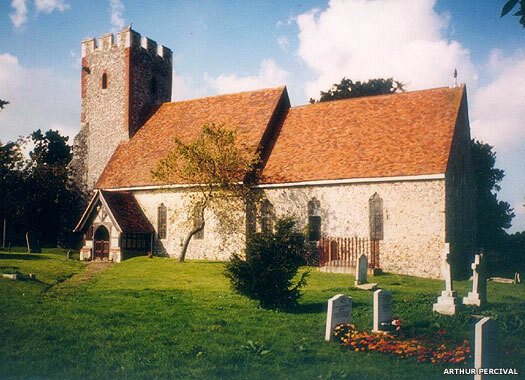 Built in the Anglo-Saxon period, by the ninth century, as one of Kent's 'minster' churches, the present church was constructed in phases between the thirteenth and fifteenth centuries, on raised ground on what was formerly the western bank of the River Lynn. 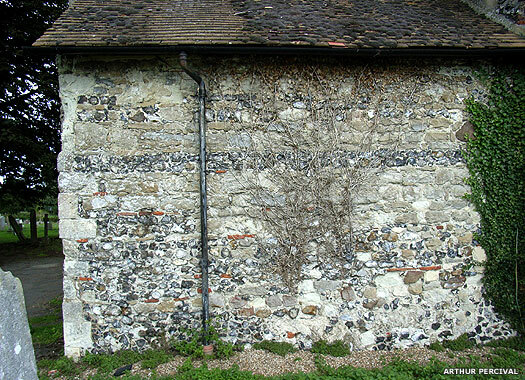 It also contains Roman ceramic fragments used to built the original church. 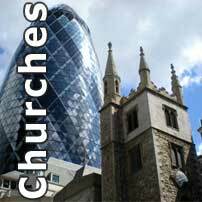 The cruciform building consists of west tower, flanking vestries, nave, aisles, chancel and transepts. The tower was built in the fourteenth century, added onto the thirteenth century church which had very large transepts. The Victorian east window was destroyed in the Second World War. 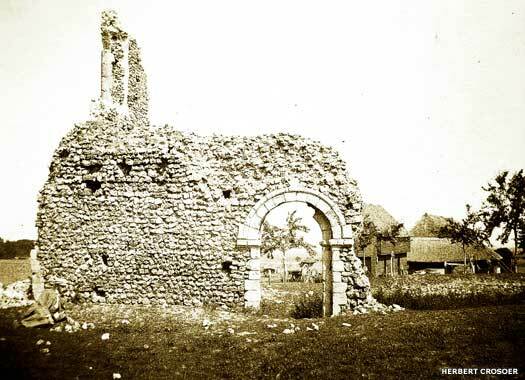 Immediately to the south lie the buried remains of the gatehouse and ancillary buildings of the thirteenth century Archbishop's Palace complex, which lay adjacent to Teynham Street. The Church of St Mary, Norton, is located a hundred metres (yards) or so east of Norton Road and north of Provender Lane, overlooking fields on the edge of the hamlet. The Domesday Book records three churches in the village of Norton, although two have since been lost without trace and were possibly little more than minor chapels. St Mary's Church probably dates to about 1080, and is also known as 'The Church in the Orchards' (seen in this photo in 1998). The church, built close to Norton Court, consists of nave, narrow chancel, west tower, and modern porch (1872). The nave and chancel were erected at the same time, probably soon after the Norman invasion. The chancel seems unusually long for an eleventh century church, and may have been lengthened in the thirteenth century. The main entrance was on the north side, probably because the manor house was in that direction, as were most of the villagers. Five photos on this page contributed by Arthur Percival, and one by Sam Weller.